We did scoff a bit when the lady next door proclaimed, “Our son has travelled all over the world, and he says there’s just about nowhere as nice as Arrawarra”, in what seemed to be an in-real-life scene from The Castle. We’d only been in Arrawarra a few hours and, whilst charmed by our gorgeous, rented beach-house, it did seem a bit of a stretch. Sure, it’s a nice spot but we’ve been to plenty of them over the years, many displayed on an enormous world map in the house's living room. Friend: Are you going away these holidays? Me: You bet. We’ve rented a house in Arrawarra. Friend: (Blank stare) Where’s that? Me: Just north of Coffs Harbour. Friend: Never heard of it. That part of the New South Wales coast (The Coffs Coast) - midway between Sydney and Brisbane - is a bit of a dreamboat. A 90 kilometre long string of stunning beaches, wild national parks, and quaint and quirky seaside hamlets home to people who, from the outside at least, seem to be living the life of Riley. The good folk of Arrawarra are no different, spending their days on the beach or out at sea in vessels hauled in and out by a fleet of tractors that reside in the car-park by the beach. 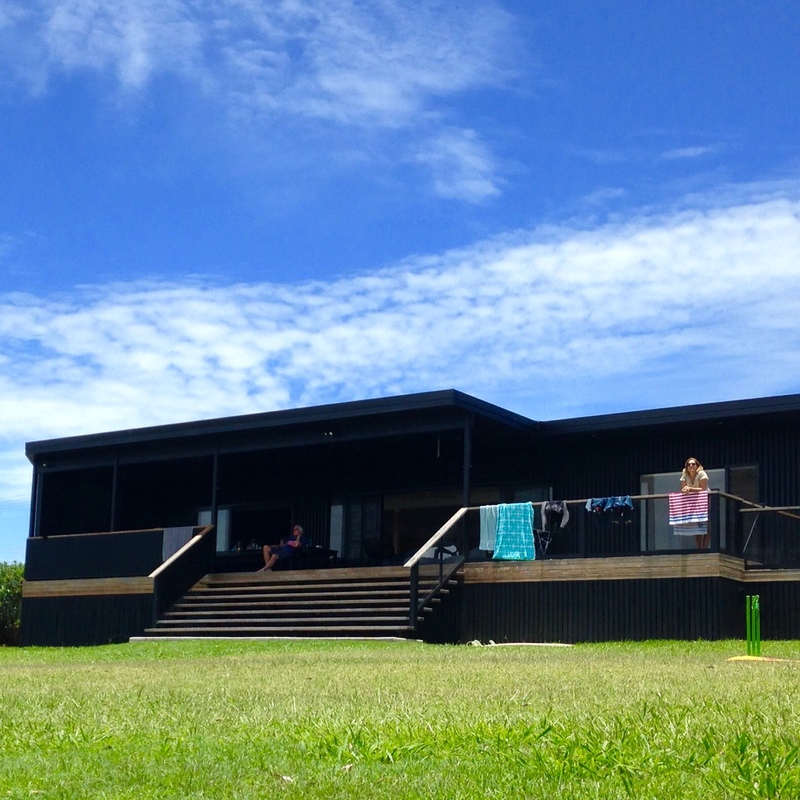 We stayed at The Black House - a divine, sleek, black shack just metres from the beach. It comfortably sleeps 10, and the living spaces and front deck enjoy uninterrupted views from Arrawarra headland, out to the Solitary Islands, and north around the vast sweep of beach to Red Rock. So beguiling is the view, we rarely left the place. Our entire week a loose choreography of pulling up chairs or finding a choice step from which to watch the theatre of long days at the beach play out. There were a couple of happenings that drew our attention from the panorama out the front of The Black House. One was a small sign outside a nearby home that suggested a stop there might furnish us with fresh Nambucca oysters for ten bucks a dozen. We popped in and exchanged a tenner for a dozen ‘plus a few more for you, mate’ from the fellow residing there. Back at The Black House, we were briefly distracted by technology as we Googled ‘how to shuck an oyster’ before cracking them open and devouring them, marvelling at our good fortune. And on Christmas morning, there was an unexpected visit from Santa in a lovely, tinsel-clad vintage Kombi who proceeded to throw lollies at the kids. Both parties seemed happy with the way that game is played. But for the rest of the week, our attention was firmly set on the hypnotic goings-on out the front. We saw dolphins, turtles, novice surfers, pro-surfers, surfers with dogs on their surfboards, fishermen parading proudly with the bounty they’d harvested from the sea, sunrises, sunsets, fireworks and a rare Christmas full moon that lit the night brightly. The kids surfed and swam and played right out the front, and we watched contendedly, refreshments in hands on the broad steps of The Black House. 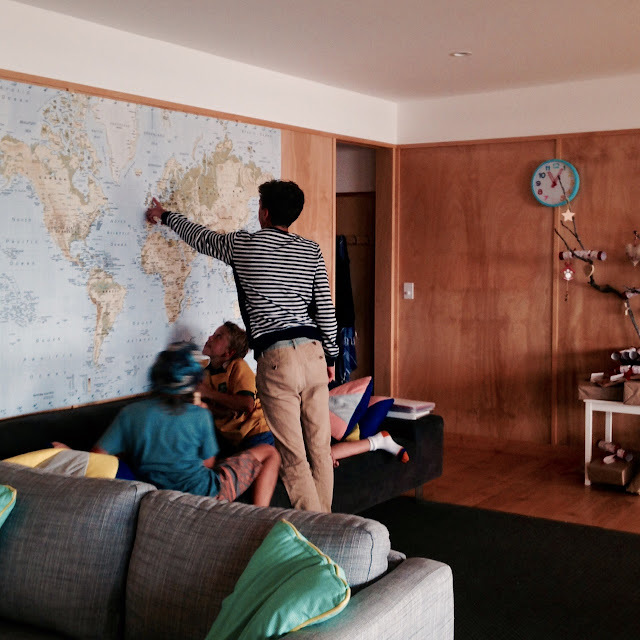 It wasn’t too many days into our stay when we realised we were all thinking the same thing. The lady next door was right: There really aren’t too many places quite as nice as Arrawarra.